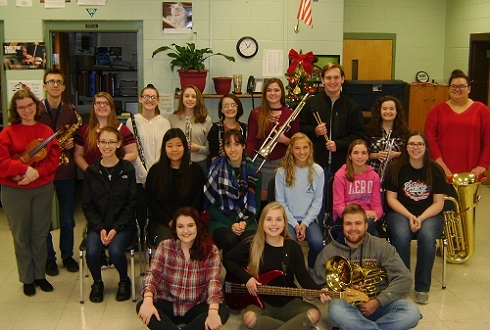 The Bridgeport High School chapter of the Tri-M Music Honor Society will host a Christmas music concert on Sunday, December 9, beginning at 2 p.m. at BHS. Traditional holiday favorites will be performed by the BHS Concert Choir and Tri-M student brass quartet, clarinet and flute duos, steel drums, percussion, and a jazz combo. Admission is $5 for adults and $3 for students. All proceeds will benefit the BHS food pantry that assists BHS students in need of meals over weekends and holidays. Robin Bohn serves as Tri-M Advisor and BHS Choral Director.